Music Man Blog: CD Review: Drummer Dan Pugach's Nonet Releases "Plus One"
CD Review: Drummer Dan Pugach's Nonet Releases "Plus One"
Seems to me that it is getting harder and harder to find any big bands recording any more. It is understandable, of course, considering the costs to bring in a gang of talented musicians, not to mention the talent required to produce new compositions and arrangements. But when you do find a new big band CD, it's usually a winner. 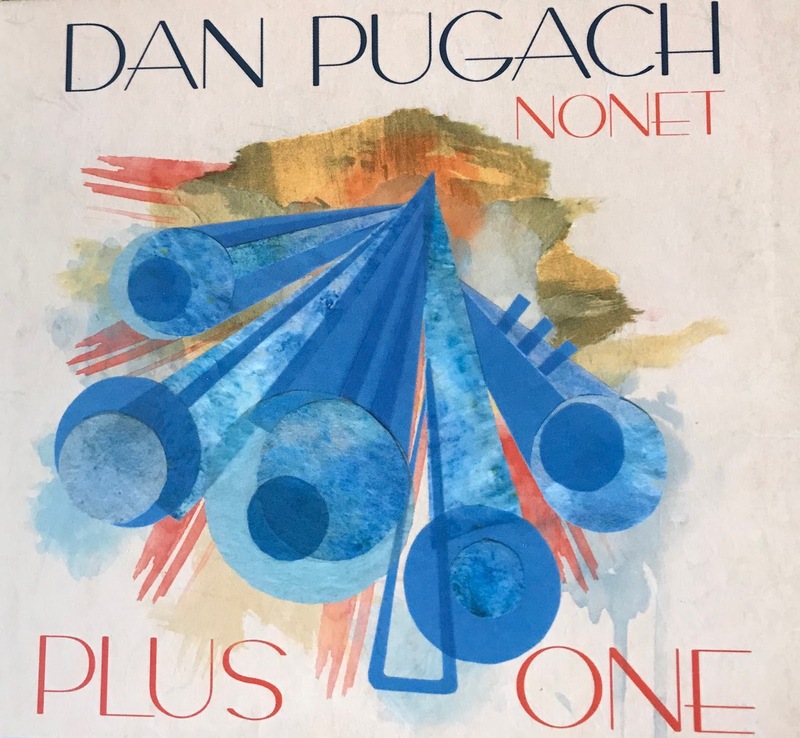 That's what I found with Dan Pugach's Nonet, and their new CD, "Plus One". Dan Pugach is a native of Israel who came to the US in 2006 to study at Berklee College of Music and then earned his Master's at The City College of New York. Dan is a wonderful Drummer and most music fans might be surprised at his composing and arranging skills. His playing and his writing is what you might anticipate from a Drummer: its on point, concise and selfless. The result is some great music not so much from individual players but from a big band with a singular voice! According to Pugach, "I believe playing less is more until it comes to my solo-then I explode. And in my music, I don't want to hear overblown drumming." Dan Pugach composted 6 out of the 9 tunes on this CD and did most of the arrangements for all nine. The supporting players are top-notch talented musicians that help transform Pugach's written composition to live pieces of musical art. For your listening pleasure, I have attached a "YouTube" of Nonet playing an original composition by Dan Pugach, "Brooklyn Blues". It is wonderful big band music I know you will enjoy!